Thousands across East Sussex have been left without internet and telephone access for around 24 hours. 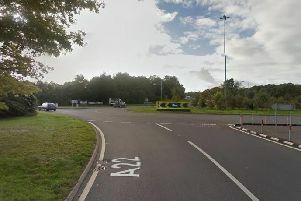 Households and businesses across the county were affected by the blackout, which lasted from Wednesday afternoon to around Thursday evening, according to Sky. Extensive damage caused by digging work was said to be the cause of the issue, with Sky saying engineers located seven separate breaks in fibre cables. The issues affected Sky, Talk Talk, and BT users who may have been unable to get online or make or receive phone calls. At around 5pm yesterday (Thursday), Sky said all services had been restored and it was monitoring to ‘ensure everything is stable’. However, customers in Hampden Park were still experiencing issues going online and making or receiving calls until around 2.30am this morning, Sky said on its Help Team Twitter account this morning. According to the company, the full list of areas affected was: Baldslow, Battle, Beckley, Bexhill, Brede, Brightling, Brookland, Castleham, Cooden, Crowhurst, Guestling, Hastings, Iden, Lydd, Ninfield, Northiam, New Romney, Peasmarsh, Rye, Sedlescombe, Staplecross, Wittersham, Eastbourne, Hampden Park, Alfriston, Newhaven, Peacehaven, Polegate, Pevensey Marina, Pevensey, Seaford, and East Dean.